Portsmouth City is under limited water service due to reduced water pressure and flow in the hill top area. Portsmouth City Water Works is requesting that all residents conserve water until the water in holding tanks restore to normal levels. 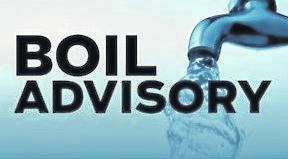 Under a water boil advisory any water used in the home should first be boiled including to brush teeth and wash hands. It is not advised to do laundry, shower or wash dishes at this time. Community members affected are urged to show and launder with friends or family if possible. Portsmouth City Health Department urges individuals to purchase bottles or jugs of water for drinking, hand washing, and brushing teeth as well as cooking if you find that boiling water is too time consuming. The Portsmouth City Health Department has setup a call line for the community to call that have questions about the water situation for those served by Portsmouth City Water. The call line will be in service 24/7 until the end of the water situation is resolved and system is returned to normal operation. Prevent disease, promote optimal health and safety, bridge the gap of unmet health care needs, and respond to public health emergencies for the citizens of Portsmouth.